Most people on the planet Kegan don't want to have anything to do with the rest of the galaxy. But when a young potential Jedi is discovered there, Qui-Gon Jinn, Adi Gallia, and their apprentices, Obi-Wan and Siri, are compelled to visit this strangely isolated world. They are not welcomed with open arms. 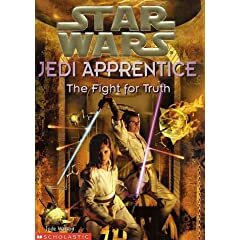 Instead, Qui-Gon and Adi find themselves caught in a web of deception while Obi-Wan and Siri are imprisoned in a school where thought is dictated, dissent is forbidden, and detention is permanent.